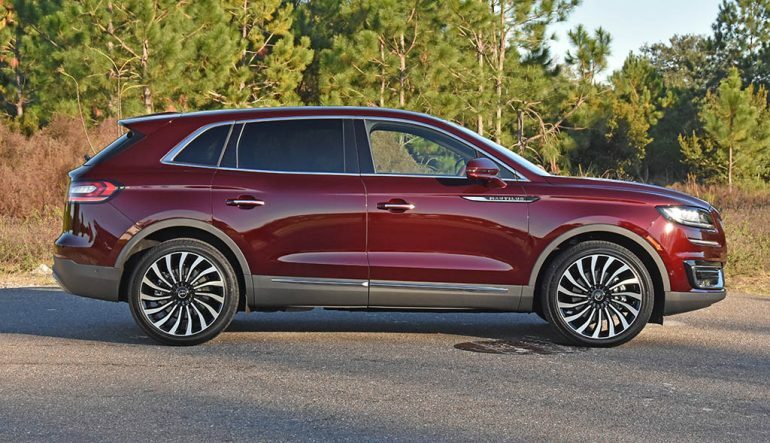 The Lincoln Motor Company, over the past couple of years, has redefined themselves in the midst of consumers moving more towards crossover and SUVs. It just so happens that Lincoln has a new line of crossovers and their well-perceived Navigator SUV to offer the masses at such an opportune time. 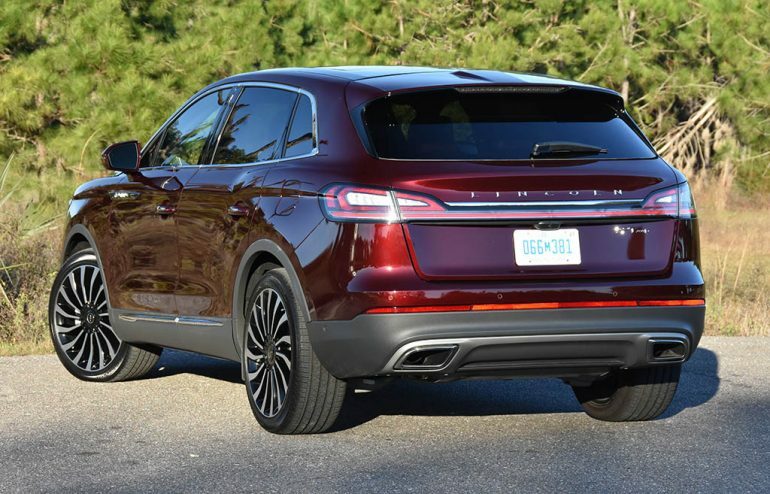 In the middle of the row, Lincoln has revamped and renamed their midsized MKX crossover, now calling it the Nautilus, furthering the new more simplistic nomenclature and new brand design language that I had the chance to check out for a week. 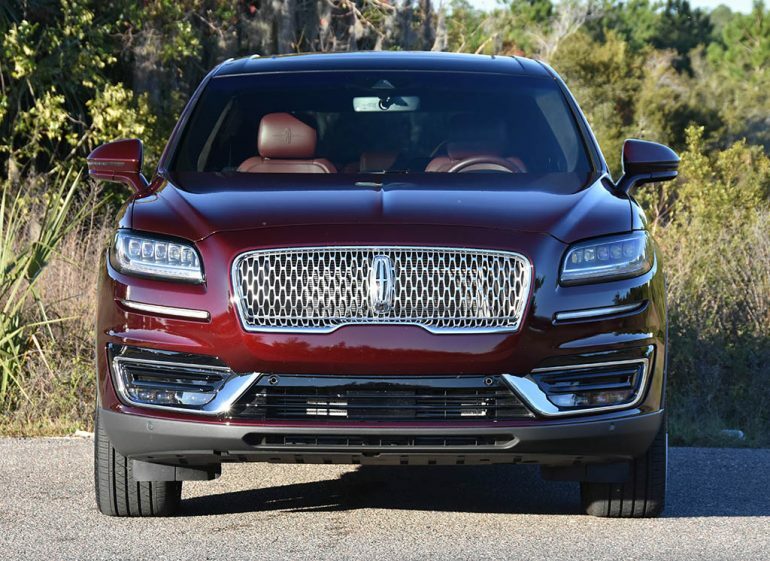 The new 2019 Lincoln Nautilus gets the new bold look of Lincoln and plays well next to its smaller and larger counterparts. 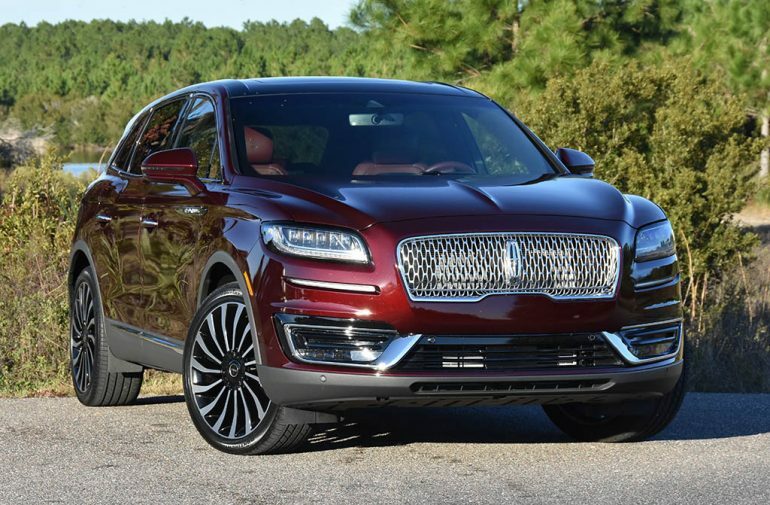 Such a look, first captivated by onlookers in the new Continental and well-praised new Lincoln Navigator, finds its way to the Nautilus making it look more premium. Additionally, the new look with unique LED headlights and LED exterior lighting plays well with my loaded-up Nautilus Black label sporting 21-inch aluminum wheels and its eye-pleasing burgundy velvet metallic paint job. Having experienced the MKX of past, the new Nautilus is a big step in the right direction for Lincoln mostly due to a more simplistic naming structure and better efficiency. Using Ford’s powerhouse 2.7-liter direct-injection and turbocharged V6 engine is a good choice especially when its mated to the 8-speed automatic transmission. Such a powertrain sending power to all four wheels by torque vectoring all-wheel-drive system and aid from the adaptive dampers all help the Nautilus remain planted when the torque surges from the turbocharged V6 engine. Speaking of surging, the twin-turbo 2.7-liter V6 pumps out a healthy 335 horsepower and 380 lb-ft of torque. The power is ample enough for a sprint to 60 mph from a standstill in just 5.9 seconds, which beats out its competition except for the BMW X4 M40i. On the performance angle, the new Nautilus takes more of a softer approach to things even though it has the proper power output to outright shame most of its direct competition. The soft and mostly supple suspension aided instantaneous adaptive shock absorber adjustments retains a smooth ride quality without much upset when pushed in turns or going over bumps. Moreover, the interior isn’t overshadowed by road noise or unwanted engine sounds. The relaxed nature of the new Nautilus pays dividends for its goal to put luxury at the forefront. Unfortunately, the interior may not be up to par for the most discerning luxury seeker. However, with the top-of-the-line Black Label Trim and the larger 2.7-liter twin-turbo V6 over the new standard 2.0-liter turbo 4-cylinder engine, the Nautilus is the proper midsized luxury crossover. Inside of the new 2019 Lincoln Nautilus is a somewhat familiar interior space but taken a few notches higher in the area of creature comforts and available amenities. The new Nautilus doesn’t slack when it comes to offering a full array of luxury features when you opt for all that the top-trim Black Label and all that the optional feature packages have to offer. 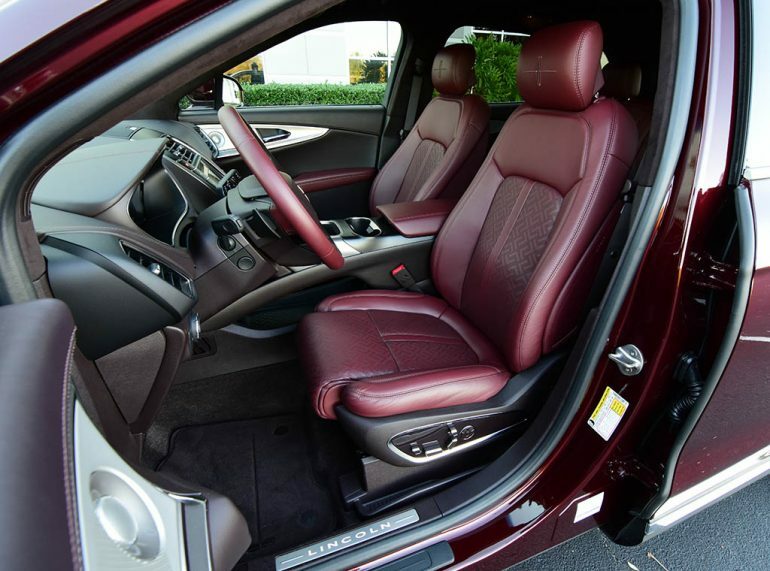 There’s a decent list of useful features added on, such as wireless phone charging, adaptive cruise control with stop-and-go and lane centering, 360-degree camera system, enhances active park assist that can find available parking spots and navigate the vehicle into the spot on its own, and 22-way power adjustable ultra-comfort front seats with massaging, cooling, and heating. The Black Label trim for the Nautilus follows the Navigator’s offering of optional themes instead of dedicated interior colors. Each Black Label theme for the Nautilus offers unique colors for the seats, trim, and wood trim throughout the vehicle with the three being the Gala Theme, Chalet Theme, and Thoroughbred Theme. 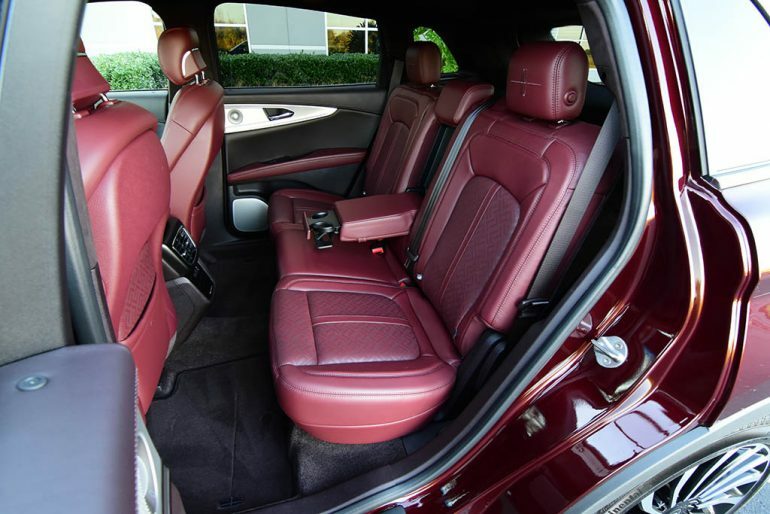 My Nautilus Black Label test vehicle featured the Gala Theme with onyx venetian leather throughout the seating areas. The plentiful space of the new Nautilus, mostly mimicking the outgoing MKX, continues to make clever use of interior room making it quite the comfortable environment with the proper tech to keep the driver and passengers entertained and comfy. Such tech incorporates an easy-to-use infotainment system fed through an 8-inch touchscreen with Apple CarPlay and Android Auto integration. 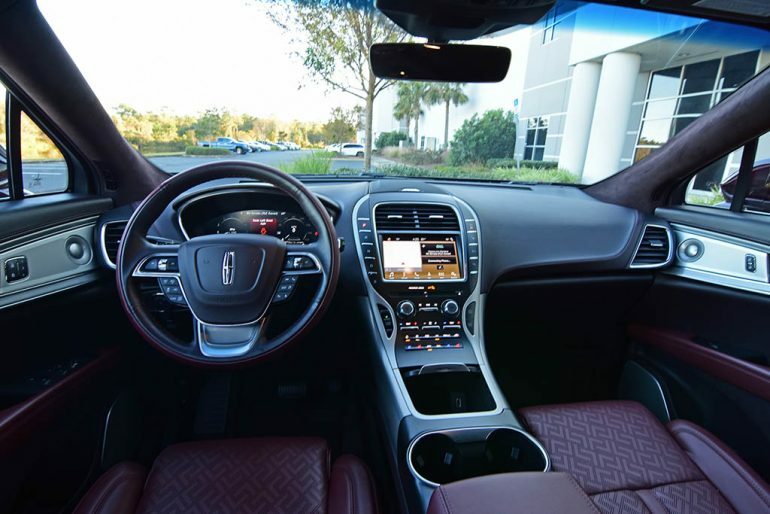 Much of the infotainment system is what you expect out of the newest Ford vehicles with an added flare of Lincolns color scheme touches – which all works as expected without any major complaints from my experience. The added efficiency of the new Nautilus mostly resides in the new base engine being a 2.0-liter turbocharged 4-cylinder good for 250 horsepower and 280 lb-ft of torque and getting a fuel economy EPA estimate of 21 mpg city and 27 mpg highway. My loaded-up Nautilus Black Label with the desired engine, the powerful 2.7-liter twin-turbo V6 with 335 horsepower and 380 lb-ft of torque gets 19 mpg city, 26 mpg highway, and 21 mpg combined. In the full scope of how crossovers and SUVs are dominating the American landscape, the new Lincoln Nautilus comes at a perfect time touting a wide range of configurations and a vast price point that starts at just $40,340 and can top-out at my test vehicle’s loaded price of $67,630. It’s a good time to shop such a segment assuring that you do not leave the new Nautilus off of your list, because I like what I’ve experienced, here. 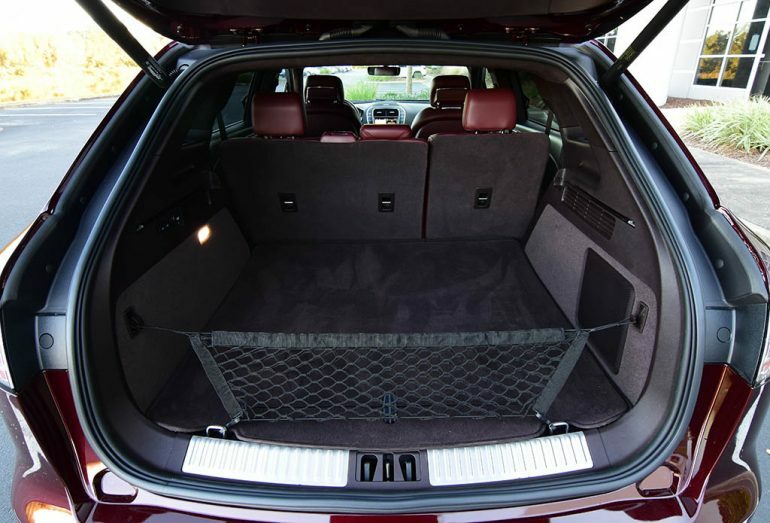 Cargo volume: behind rear seats-37.2 cu.ft/rear seats folded-68.8 cu.ft.